Zoisite is a mineral species in the epidote group. 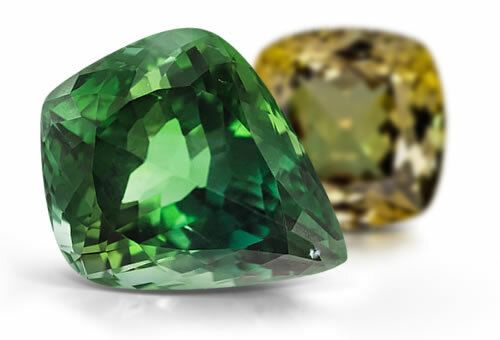 The most celebrated variety is its blue to violet occurrence, tanzanite, but other zoisite colors include red, pink (thulite), green and purple. Discovered in the early 19th century, zoisite was named after Baron von Zois, an Austrian scientist and mineral collector. Zoisite is a type I clarity stone. Stones rarely needles, chromite inclusions, growth and etch tubes.